Pinterest is quickly becoming a powerhouse social network for businesses. In fact, the bookmarking site has not only become a top traffic referral source for many brands on the Web, but has also focused on expanding its platform’s business capabilities since March. As Pinterest continues to grow its business platform, it has become apparent that brands that are not active on the social pinboarding site are surely losing out on valuable traffic and visibility opportunities. In fact, a 2013 Q2 Gigya study shows that Pinterest has become the top social site for e-commerce sharing, accounting for 41 percent of shared retail content compared to Facebook at 37 percent. Plus, Pinterest was the top referrer source for publishers on the Yieldbot platform in July 2013, driving more than 85 percent of social traffic referrals. These stats go to show that regardless of industry type, Pinterest has proven its value to brands on the Web. Pinterest officially launched business accounts at the end of 2012, and in order to help businesses better understand the success of their content on the social network, Pinterest launched an analytics solution. 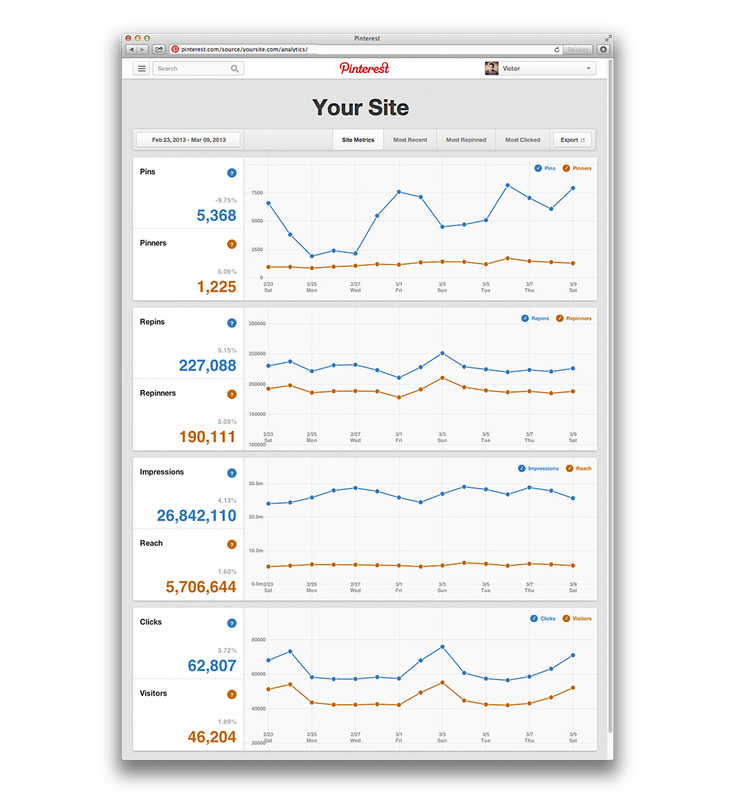 Pinterest Web Analytics provide site owners with insights into how people interact with pins that originate from their websites. Business owners with verified sites have the ability to view data about how many people have pinned content from their websites, how many people have seen their brands' pins and how many people visited their sites as a result of seeing their content on Pinterest. In perhaps its biggest move of the last few months, Pinterest launched “Rich Pins”, which aim to be more useful for not only Pinterest members, but also brands around the Web. Rich Pins first launched with support for product pins, recipe pins and movie pins, but have recently expanded to support additional content (more on that below). That said, product pins are updated every day and include information like pricing, availability and where consumers can purchase the product, while recipe pins include data like cook time, ingredients and servings. In addition, movie pins feature content ratings and cast member information. It is important to note, however, that in order to leverage rich pins, Web owners must first prep their digital properties with the appropriate meta tags and then apply for the specific type of rich pin. In a feature created exclusively for merchants, Pinterest started sending pinners notifications for when products they’ve pinned drop in price. This feature provides merchants with valuable free advertising and aims to boost click-through rates. Moreover, the price updates should prove to be very valuable during the upcoming holiday season, which means that e-commerce businesses should start leveraging rich product pins, if they haven't done so already. You knew ads were coming sooner or later, so this recent announcement may not be that big of a surprise. A select group of businesses is currently running Pinterest’s “promoted pins”. According to Pinterest’s CEO and Co-Founder Ben Silbermann, promoted pins aim to be tasteful, transparent and relevant, as to not interrupt the user experience. Currently, these advertisements can be found in the search results and category feeds, yet it is important to note that the promoted pin business test group is not yet paying for campaigns, because the social network first wants “to see how things go.” Businesses that are interested in promoted pins can keep up with the ad format’s progress by filling out this form. 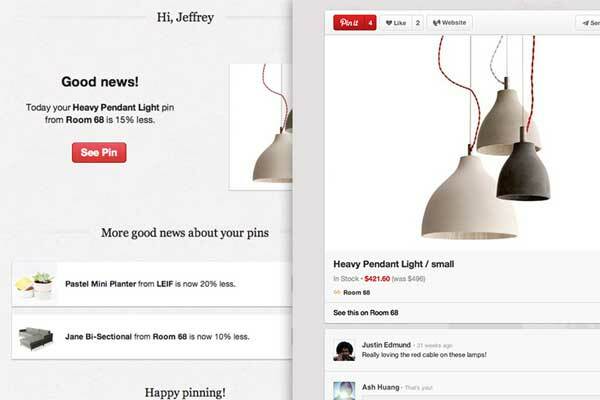 Pinterest introduced a new type of pin specifically for publishers this week. 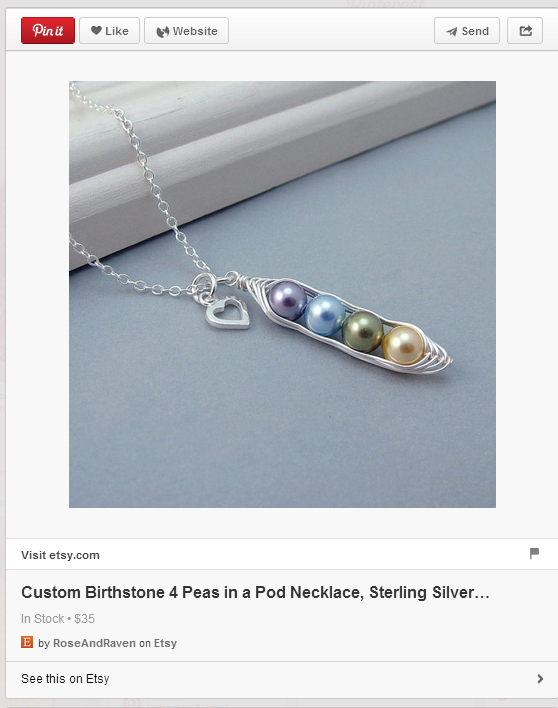 These pins, dubbed article pins, aim to make pins from media sites more descriptive, visually appealing and actionable. 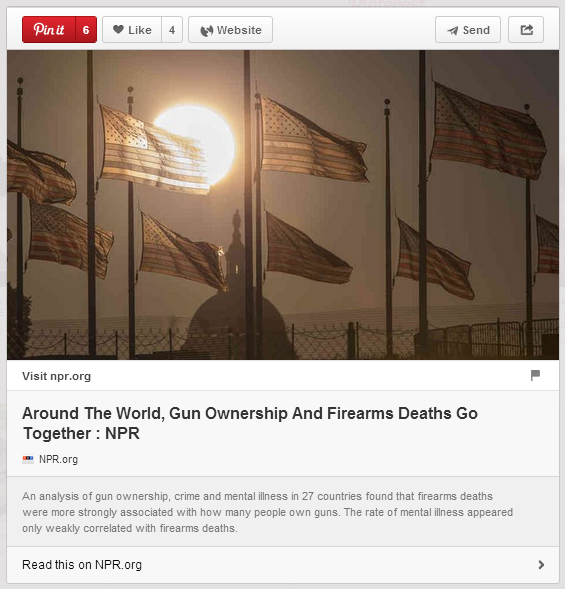 These pins not only make it easier for Pinterest members to find and save stories, but should also improve traffic referrals for publishers because the pins include a bigger link to the article’s source. These pins are actually a part of Pinterest’s effort to make pins more useful through Rich Pins. It is important to note that article pins are currently only available for an initial group of publishers, like the New York Times, Rolling Stone, Men’s Journal and Buzzfeed. That said, publishers can apply for article rich pin capabilities the same way they do for other rich pins – on the Pinterest Developer site.